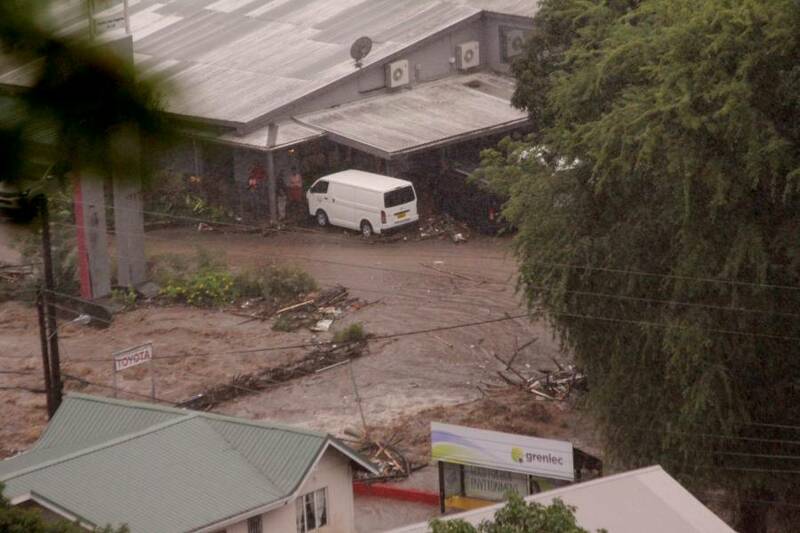 Heavy overnight and ongoing rain has swollen the St John River, to the point where it has overflowed its banks, covering River Road, the bridge leading to Steele’s Auto and that premises. The playing field adjacent to the National Stadium is also under water. The public road is indistinguishable from the rolling river and this is causing traffic delays, and diversions as vehicles use Marrast and Mortley hills to by-pass the deluged River Road. 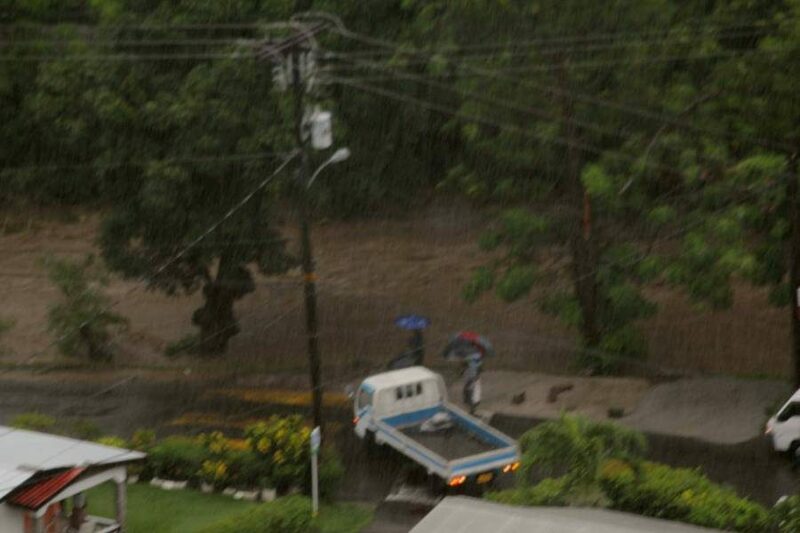 There is an unconfirmed report of a vehicle swept away by the torrent. 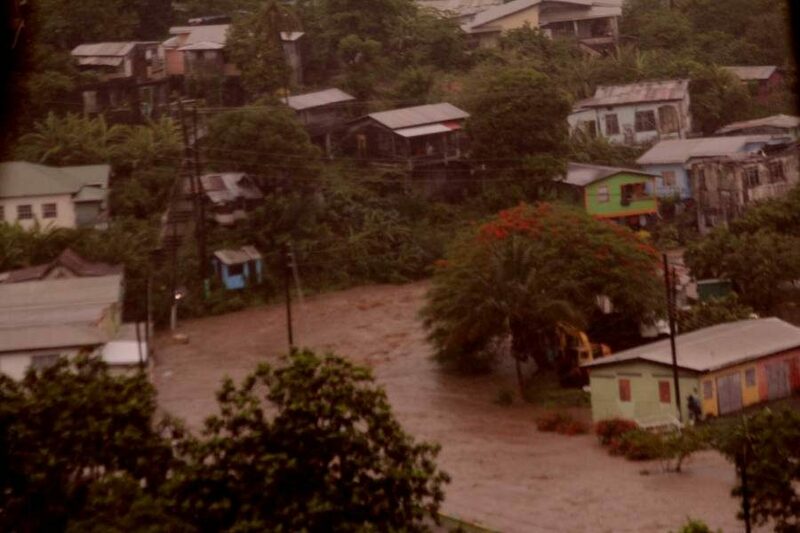 There are also reports that Grand Anse, the Lagoon area and parts of the Town of St George are also flooded.